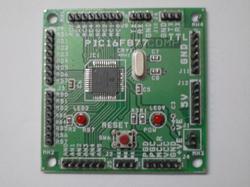 Our PIC Development Boards are composed enhanced boards for Microchip’s 40-pin PIC micro controllers. These are targeted to facilitate the developers by providing exclusive and futuristic enhancements. These are put into practice with enormous features and it allows the PIC micro controller to be interfaced with external circuits. 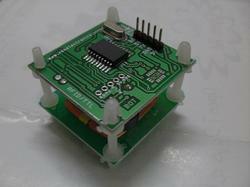 This RFID Reader module has a built–in antenna in minimized form factor. It is designed to work on the industry standard carrier frequency of 125KHZ. This LF reader module with an internal or an external antenna facilitates communication with read-only transponder – type UNIQUE or TK5530 Via the air interface. The tag data is sent to the host systems via the wired communication interface with a protocol selected from the module both TTL and weigend protocol. The LF module is best suited for application in access control, time and attendance, asset management , handheld readers, immobilizers and other RFID enabled application. TX- TTL output can be directly connected to microcontroller (To convert TTL to UART use converter board). D0 & D1 - Is used for weigend protocol. · Compact size and cost effective. 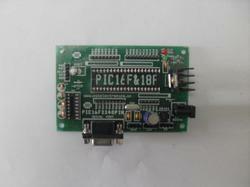 This board is specially design for projects which need LCD display , RTC & SERIAL communication . 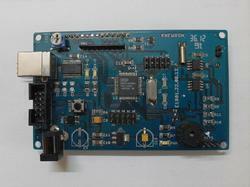 The Demo Board is built for 89C52 . 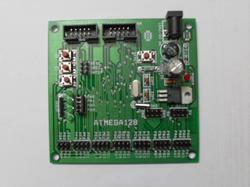 It is simple compact board for development & usage for customized projects. 3. Burg connector out pins provided for all microcontrollers I/O pin. We are also engaged in providing Starter Kit apart from all the other products. These kits are good for the purpose of code development and programming. These are the most powerful and complete microcontroller starter kits. They include debugger, compiler, assembler, IDE etc. We offer this product at reasonable prices in the market to our wide range of clients. These kits are ready to be worked on straightaway. We are an unparalleled name in offering a premium quality of Breakout Boards which are designed and developed by our highly skilled professionals using supreme class raw material as per the at latest technology and devices. 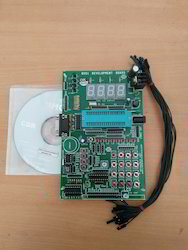 Our company deals in a variety of timers, we also provide A Type Timer to our clients. A TYPE timer is available with unique features such as two operational modes. 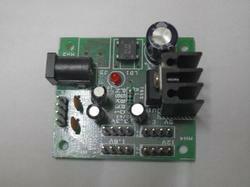 They can be operated from device low power oscillator or in an asynchronous mode from an external clock source. Timer A type generally finds its application in Real time clocks. We offer these reliable and high performance timers at market leading prices. need additional power supply and can function from supply through USB. 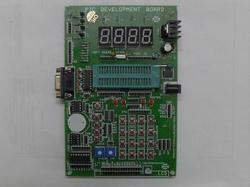 EEPROM, 20x4 Character LCD alongwith contrast adjustment potentiometer and backlight on-off control. Two ports (Port 1 & 2) are available on berg connectors for extended connectivity and usage. We Deal with Mini Arm board. 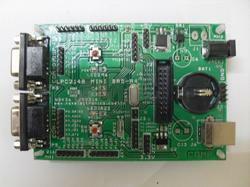 MCU : LPC2418 16/32 BIT ARM7TDMI with 512K bytes program flash. 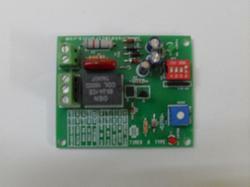 There is 7805 regulator and two LDO for 3.3V and 1.8V respectively. The 12V rails is basically connected to the RAW input DC supply. table and reliable chipset CP2102.